HoCoHRS's July Meeting- Winning the Talent War: Successful Recruiting Strategies | Maryland SHRM State Council, Inc.
Join us and learn from recruitment and compliance expert, Andrea Csordas, PHR, SHRM-CP, how to develop recruiting strategies that align with your organizations’ missions and values. She will also share insight on how recruiters and HR professionals can develop a recruitment framework—or expand on an existing process to help attract, retain, and source the talent you need. Andrea will provide a general overview of recruiting and selection tools, including how employer branding focuses on retaining and attracting applicants. She will also share how to use social networking as a recruitment strategy, and the importance of developing and maintaining job descriptions. Andrea Csordas, PHR, SHRM-CP, is an HR Consultant at Berkshire Associates Inc. As a seasoned compliance professional with over nine years in the industry, Andrea has helped hundreds of clients across the nation meet their unique compliance goals. With an unmatched understanding of Office of Federal Contract Compliance Programs (OFCCP) and Equal Employment Opportunity Commission (EEOC) regulations, Andrea provides clients with expert support in the areas of affirmative action, compensation, and diversity. She also regularly speaks at industry events, including Society for Human Resource Management (SHRM) chapters. Before starting her career at Berkshire, Andrea worked as a Client Program Manager for a leading employment services company where she managed new-hire recruitment processes. Andrea’s educational background includes a Bachelor of Arts degree in Economics/Hotel and Tourism, and a Master of Arts degree in Human Resource Management. 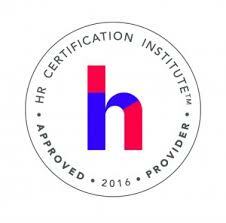 Andrea is a certified Professional in Human Resources (PHR) by Human Resources Certificate Institute (HRCI) and a Certified Professional by the Society for Human Resource Management (SHRM-CP). Berkshire Associates is a human resources consulting and technology firm that specializes in helping companies build their ideal, balanced workforce. As an industry leader, we specialize in applicant management, compensation management, affirmative action, workforce planning, diversity, and professional training. Thank you to The MWE Partnership for sponsoring our July meeting! At MWE our mission is to help companies and associated brokers to strategize, implement, and service the entire voluntary benefits process. Our process is turn-key and seamless. We are the partner you need whom specializes in this unique niche.